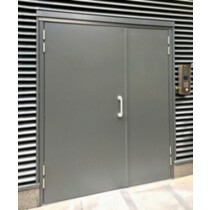 Installing a purpose-built steel door to your commercial property is one of the most accessible ways to increase the overall level of security of your business premises. 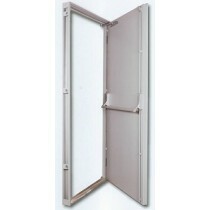 There are several different configurations of doors available, allowing you to specify the type that is most suited to your individual arrangement. 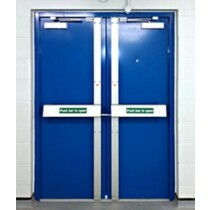 If you require the installation of a new steel door to a building or structure located within your premises, simply choose the model most applicable to your requirements and enter the dimensions of your door opening. 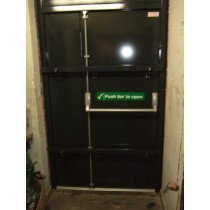 From there, we can provide you with a personalised quotation for the supply and installation of your new steel door. 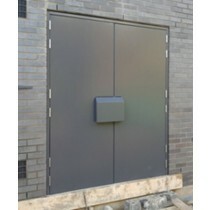 The installation of exterior steel doors to the perimeter of a building act as a robust line of defence as well as an effective deterrent against unwanted entry. 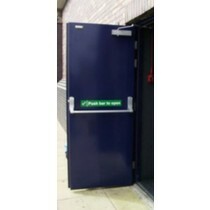 You could choose to opt for one of our steel entry doors which work as a secure access point for your employees and any other authorised personnel. 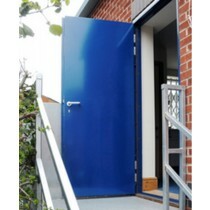 You could also choose to install steel doors as part of an escape route, allowing easy exit in the event of an emergency from the interior of the building but preventing unauthorised access from the exterior. 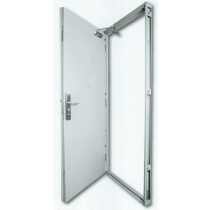 All of our metal doors are constructed from the highest quality of steel, providing you with the peace of mind that your property is secure. 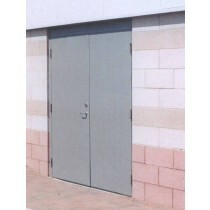 For more information on the range of steel doors that we can supply and install throughout the United Kingdom, call us today to speak to a member of our sales team. You are also able to obtain a quotation through our website by following the instructions given and choosing from the list of options you require.